Manufacturer and Supplier of Iron Removal Plants. Our product range also comprises of Sewage Treatment Plants, Air Pollution Control Devices and Industrial Chemicals. We present our customers with the premium quality of Iron Removal Plants. Used in hotels, restaurants and dying & textile industry, the offered iron removal plants are easy to operate and require low maintenance. 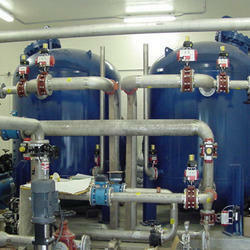 The offered iron removal plants are used in dairy and food product processing. In order to meet the precise needs of our customers, we offer the iron removal plants in various technical specifications. Looking for “Iron Removal Plants”?